Today I'm excited to review what will certainly be remembered as one of the most interesting collaborative efforts this year. In an effort to push the boundaries of aggression into unexplored territories, grindcore act Full of Hell have decided to mark their 3rd full length release with an unexpected guest from the other side of the globe: the legendary godfather of Harsh Noise Masami Akita aka Merzbow. Being a Grindcore fan and having been a first-hand witness of the inhumane sonic intensity displayed at a Merzbow show, I had been hopelessly waiting to hear what a confrontation between these two extreme forms of music would sound like. My excitement upon first hearing about this wish come true did of course come with a hint scepticism, as there are so many ways this kind of project turn into a catastrophe. So does the album hold up to its potential? Let's get right into it, shall we. It should come to no surprise to anyone remotely familiar with Full of Hell or Merzbow (or even their respective genres) that this release, while relatively short, is not an easy listen. From the first song to the last, the album grabs the listener by the throat with its 11 outbursts of pitch black sonic mayhem. 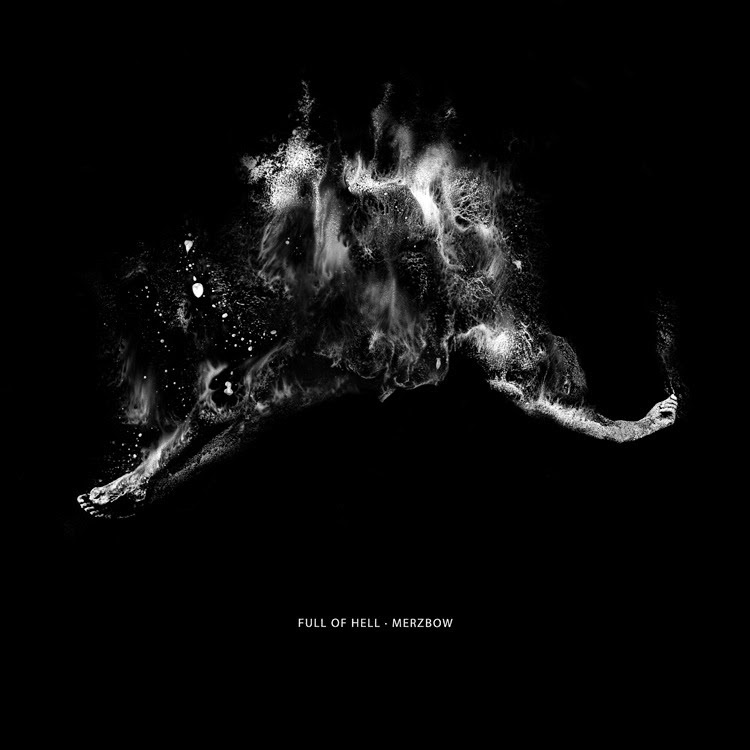 For those who are unfamiliar with Full of Hell, the band delivers a jaw-droppingly heavy and fast sound of grindcore, with a dark, chaotic atmosphere from the likes of Gaza or Amenra. We're served with noisy, crushing guitar sounds, blast beats, d-beats and shrieking vocals paired with low pitched grunts. The featuring of Merzbow on this release brings a side dish of chaotic, shrieking industrial noises that we've come to expect from the Japanoise artist. I will stress the fact that this is mainly a Full of Hell album. For a good part of the album Merzbow takes a step back in the mix and mainly serves to add an extra dirty layer to the sound or transition into the next song. For a majority of these songs, his sounds are mixed very low and are barely distinguishable from the bands' sonic chaos. There are some occasions like on the track Guardian Knot where the electronic shrieks will pierce through the mix and be integrated into the foreground of the song, but they remain scarce. However, about halfway into the tracklist, the band steps aside for an interlude fully orchestrated by the maestro of hearing loss. With the track Raise thee, Great wall, Bloody and terrible, the vocals are drowned in an industrial soundscape of hissing feedback that pierce through your eardrums and engine noises. While the first half of the tracklist consists of lightning fast, short songs, the album slowly makes way for slower, longer compositions. These songs give more space for the band to interact with the noise and build up a dense, profoundly oppressing atmosphere. The song High fells marks the entrance of some grim trumpet sounds, making the song sound like a funeral march. Ludjet Av Gud, the longest track, slowly dives into a moment of tense silence before resurfacing to the sounds of war drums and electronic hisses that sound like the wind blowing through a field about to be paved in blood. Finally the last song picks up the fast grindcore pace one last time for the finale and incorporates all of the sounds beautifully: the noisy guitar riffs intertwine with the trumpets the shrieks to give the listener one final adrenaline rush. To wrap things up, it's safe to say that this release from Full of Hell does indeed live up to its potential. Full of Hell have tamed the untamable and harnessed the power of the beast to create something truly unique, and it definitely pays off. I highly recommend this release to anyone looking for an intense dose of pure sonic aggression.